Open daily (weather permitting), Anakeesta is located at 576 Parkway, Gatlinburg. Need to stock up on gear for your next adventure? Visit the Nantahala Outdoor Center at 1138 Parkway in downtown Gatlinburg. Open daily year-round (except Thanksgiving and Christmas Day), this 18,000-square-foot outpost offers everything you could possibly need for outdoor recreation, from tents, kayaks, and paddles to backpacks, hiking boots, and athleticwear. There&apos;s even a 1,000-square-foot section devoted exclusively to the newest North Face gear. 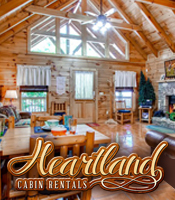 Not to mention a huge, cozy fireplace; a family-friendly bear cave; a 25-foot climbing wall; and a swinging rope bridge. But Nantahala does more than just equip you for outdoor thrills. 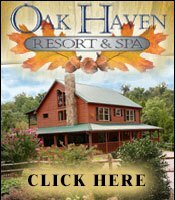 It also provides guided whitewater rafting trips, guided waterfall hikes, and one-day introductory kayaking courses. Did you know that Gatlinburg is home to the nation&apos;s largest independent collective of craftspeople? It&apos;s a fact. What&apos;s more, these gifted artisans offer their one-of-a-kind wares at shops, studios, and galleries all along an 8-mile loop right off the East Parkway. Drive this leisurely "art crawl" anytime to discover unique handcrafted treasures, from quilts, carvings, and weavings to pottery, paintings, jewelry, stained glass, ceramics, baskets, brooms, leatherworks, and much more. Pick up a mountain craft (or two) to take home as a cherished memento. And now for something completely different: the world&apos;s only museum dedicated to salt and pepper shakers. Located at 461 Brookside Village Way in Gatlinburg, this quaint, charming gallery showcases more than 20,000 unique salt-and-pepper shaker sets from all over the world, plus a huge collection of pepper mills. You&apos;ll see exquisitely detailed shakers resembling everything from china dolls and Southern belles to ducks, dogs, cats, pandas... and even the Loch Ness Monster! Have you ever wished you could see the New Testament "come to life"? At Christ in the Smokies Museum and Gardens, you can witness the next best thing: lifelike, life-size scenes and figures from the Gospel Story of Jesus. Stroll among intricate 3D dioramas showcasing your favorite Bible events, enhanced with dramatic lighting and sophisticated special effects. Witness Christ&apos;s birth at Bethlehem... the Child Jesus in the Temple... Jesus blessing the little children, healing the blind man, and preaching to His disciples. View the Last Supper, Crucifixion, and Resurrection as you&apos;ve never seen them before. As countless visitors attest, it&apos;s an unforgettable experience. Open daily, Christ in the Smokies Museum is located at 510 River Road in Gatlinburg. 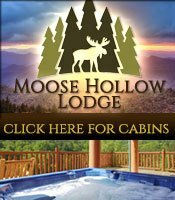 Group rates are available, and kids under 6 are admitted free. Just a few miles outside of Gatlinburg you&apos;ll find a fascinating piece of Appalachian history: an authentic 1840s pioneer homestead where six unmarried sisters lived together for decades – even after the foundation of the Great Smoky Mountains National Park. Right up until the last one passed away in the 1960s, the Walker Sisters sustained themselves by farming their ancestral land the old-fashioned Tennessee way. Today their intact log cabin is open to the public (for free). To view it, hike the easy Little Briar Gap Trail (2.6 miles round-trip) from Metcalf Bottoms near Cades Cove. 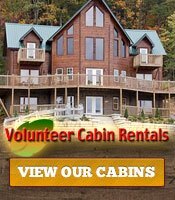 Looking for Gatlinburg TN attractions you can get to quickly and easily, without long, strenuous hikes? Check out Cataract Falls. This easy 3/4-mile trail is suitable for all ages, including younger children. Partly paved and well equipped with safety rails, it takes you past the scenic Fighting Creek to a beautiful 25-foot waterfall. You&apos;ll find the trailhead just to the left of the Sugarlands Visitor Center, less than 10 minutes from Gatlinburg. 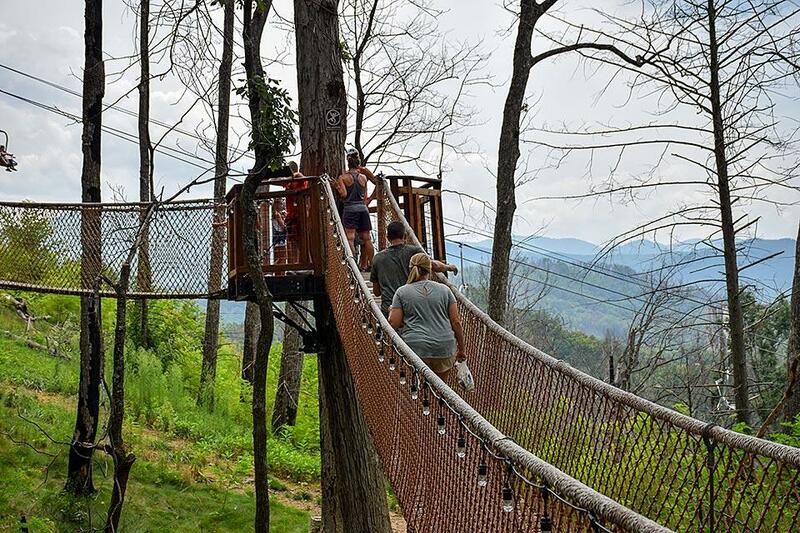 Ready to Explore More Gatlinburg TN Attractions? Pack your bags, gather your family, and head to the Tennessee Smokies!